Tesla both surprised and impressed Wall Street when moving its Q3 earnings call forward a week. Shares soared by 12 percent and it turns out, investors were right. Tesla reports a profit for the second time in its history and makes a record revenue, mostly thanks to the Model 3. Tesla CEO Elon Musk had fought a battle or two recently. First he raged against short sellers and tried to take Tesla private. He had to reverse that decision soon after. Still it resulted in a 20 million dollar fine to be paid by both Musk and Tesla to the SEC (we reported). Yet, Wall Street has forgiven him and has happily been trading Tesla shares even ahead of the earnings call. One outspoken short seller cited by the Financial Times went as far as saying that many “warning signs” about the company “have proven not to be significant”. Citron Research added, Tesla was “destroying the competition” and that they now hold a longterm position. And indeed, the Q3 earnings prove investors right and sceptics wrong. In numbers Tesla say in their letter to shareholders they achieved a profit of $312 million from a record revenue of 6.8 billion dollars. Compare this to about $4BN in revenue just a quarter ago. The results thus translate to a rare profit of $1.75 per share. This was mainly due to the gross margin on Model 3 topping 20%. Moreover, Tesla increased their free cash flow by 731 million dollars to $881 million in Q3. This means Tesla righteously says their Q3 2018 was a “truly historic quarter” thanks to the success of the Model 3 in particular. 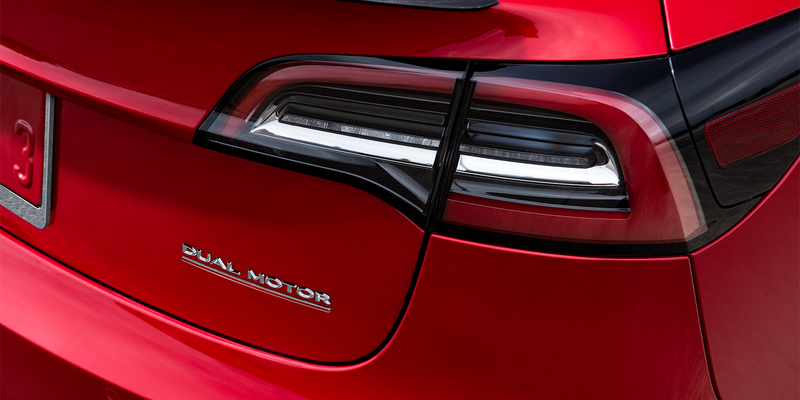 The economy Tesla was the best-selling car in the U.S. in terms of revenue and the 5th best-selling car in terms of volume, according to the EV maker. The demand is fed by an average weekly Model 3 production of roughly 4,300 units per week over the quarter, although this excludes the planned shutdowns. Also in terms of production they have made progress as Tesla managed to decrease labour hours per Model 3 by more than 30% from Q2 to Q3. Clearly they have come out of production hell and made it into the profit zone.